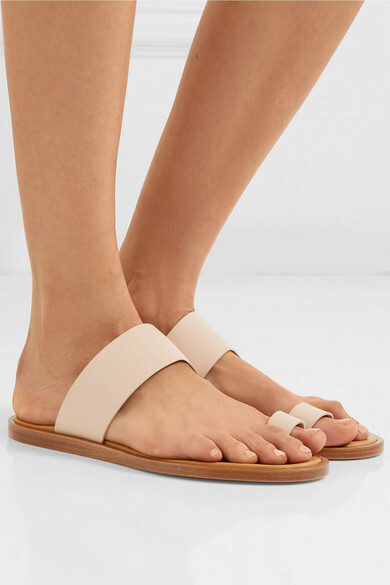 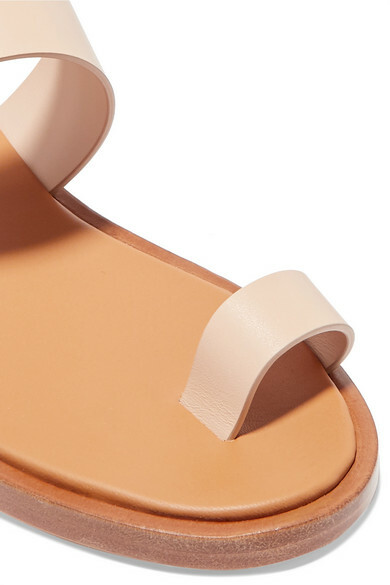 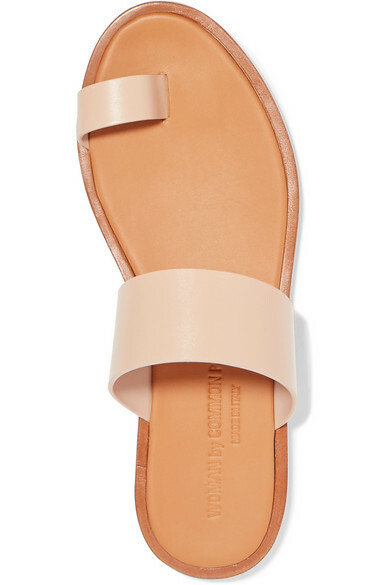 Common Projects' 'Minimalist' sandals are endlessly versatile - the beige hue will go with everything from tonal neutrals to vibrant prints and just about every wash of denim. 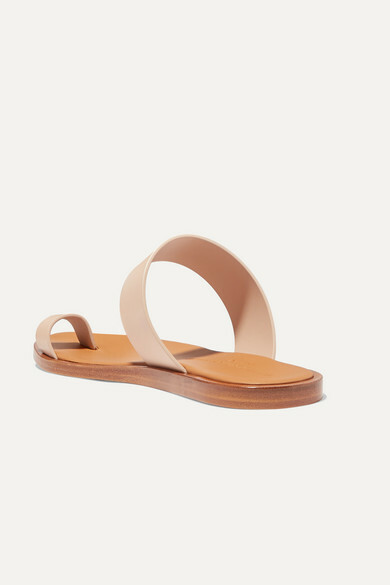 Crafted in Italy from supple leather, they have a secure toe loop and ightly cushioned footbed. 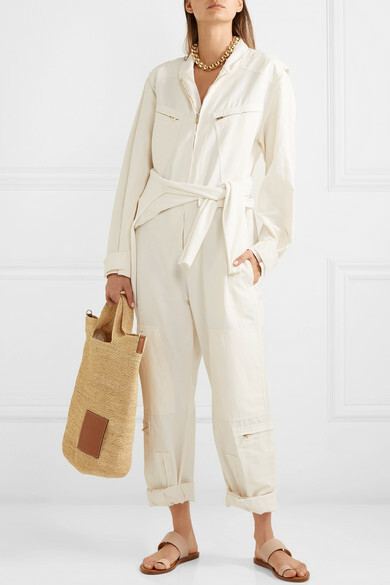 Shown here with: Stella McCartney Jumpsuit, The Row Top, Loewe Tote, Laura Lombardi Necklace.